Many of you listen about programming language like C , C++ , html , php , java , so here it is a programming post about C# language. C# is Programming language .which is totally object oriented language on .NET Platform. And design to develop desktop applications, web application etc. To learn the C# Language First you need to understand the basic of its. 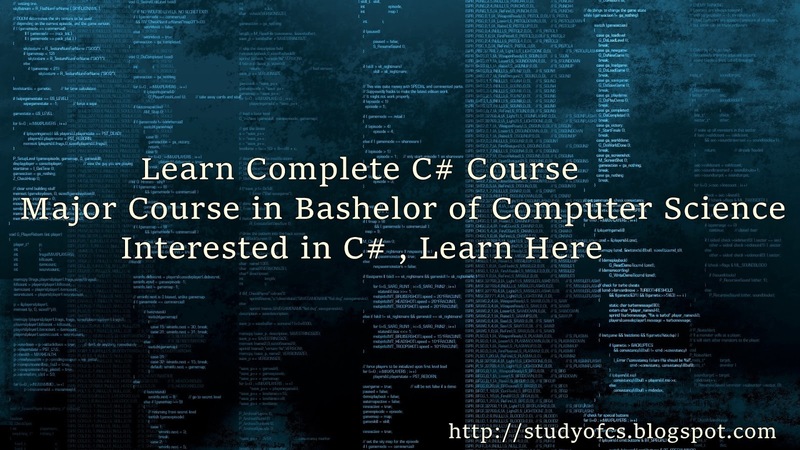 Here in this post you can learn complete C# Subject. 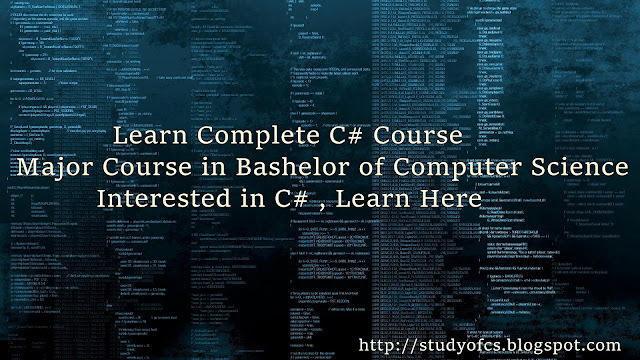 This course is major subject in bachelor of computer science field. So you must learn it completely. The course contain 37 Lectures of it. 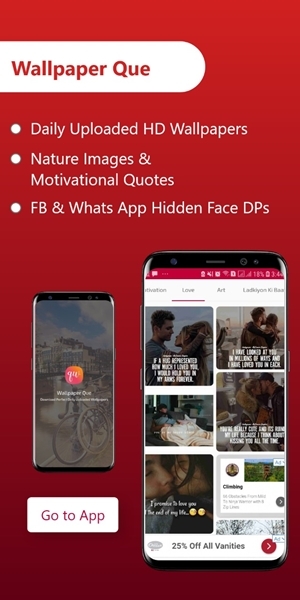 At every end of the lecture you are given to lab plan to solve it and at the end for your own practice final exam paper are provided to you, which you will solve on yourself to test your abilities how much you learn at the end of this course . These lectures are delivered by Sir Shahid which are Lecturer in National Textile University, Faisalabad. Tool and software installation methods are given. Lab Plans, Final Exam and Quiz are also conduct by yourself. Course Code of the subject is CSC3079. CSC-3079 Programming language Course (C#).